Sugarbeet Planting Season Sows Hope in Minn. and N.D.
With British ships blocking Caribbean trade routes, Napoleon Bonaparte found France facing a difficult problem. Sugar, which had become a staple of high-society diet, was in short supply. When French scientists gave Napoleon sugar made from beets, he directed farmers to plant a massive crop and provided government money to help build processing factories. The large-scale production invented in France soon flooded Europe with beet sugar, making it finally affordable for everyone. After Waterloo, trade routes reopened, and beet sugar declined as cane sugar returned to Europe. But the new crop, and the technology used to efficiently turn it into sugar, was out and would create a global commercial enterprise. Fast-forward to 2018. Farmers in Minnesota and North Dakota – many in the Red River Valley along the border – have become the world’s most efficient sugarbeet producers. And they just planted what they hope will be the best crop ever. Planted around this time every Spring, sugarbeets have fueled generations of family farms and built the small towns that dot the Valley’s 550-mile path. 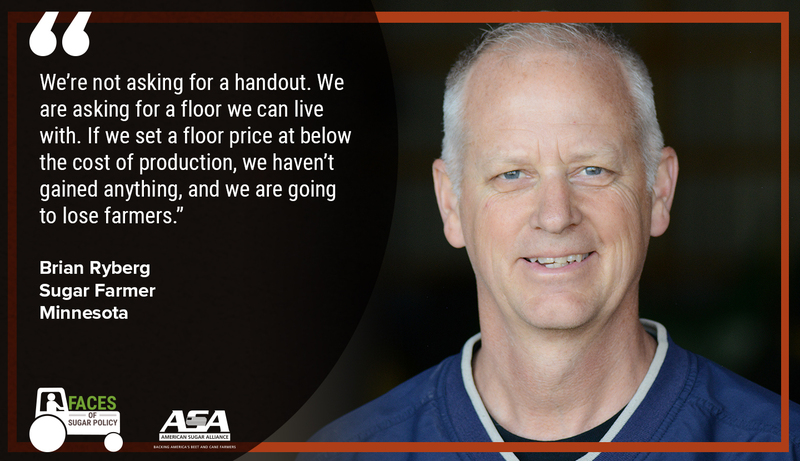 For Dan Rosenfeldt, sugarbeets offered a path to becoming an independent farmer instead of a farm laborer. Rosenfeldt’s story is unusual in the Red River Valley. He didn’t grow up on a farm. His father was a farm laborer, a job he would hold as a young man. He went to college to be a teacher but fell into farming because teaching jobs weren’t available in his home of Moorehead, Minnesota. He has four children, all of whom have advanced degrees and are not working on the farm, and eight grandchildren. His wife is a teacher and her income helped him grow the farm. He farms with his nephew and brother. One part of Rosenfeldt’s story is common across the region. 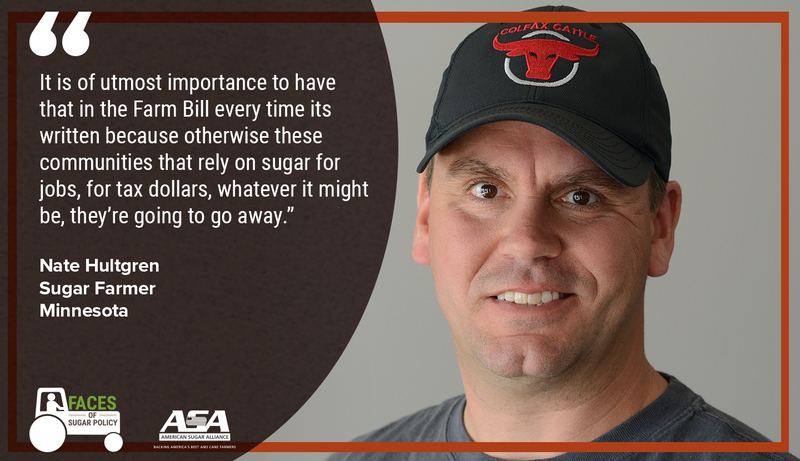 He is worried about the future if Congress weakens sugar policy during the current Farm Bill debate. About an hour from Rosenfeldt’s place, farmer Rod Olson kneels in a field of recently-planted sugarbeet seedlings. He admits he spends more time that he should checking on the plants as they grow. Olson’s story is that of the quintessential American farm boy. He decided against college in the 1980s because the farm crisis threatened to destroy his family farm. He became free labor for his parents for years as the family worked to keep the operation going. Olson wishes he had gone to college but says he always knew he would farm. It’s been a good occupation for his family and the community of Hallstad. The year he graduated, the high school’s football team went to the state championships. But the community, like many others across the Red River Valley, is in decline. The high school will close after this year and merge with one in a neighboring town. He says Hallstad would struggle to survive without sugarbeets. The community in Caledonia, North Dakota, where he also farms sugarbeets, would face a similar fate. The talk of removing the no-cost sugar policy from the Farm Bill baffles him as he looks back on his start in farming in the tumultuous times of the 1980s. 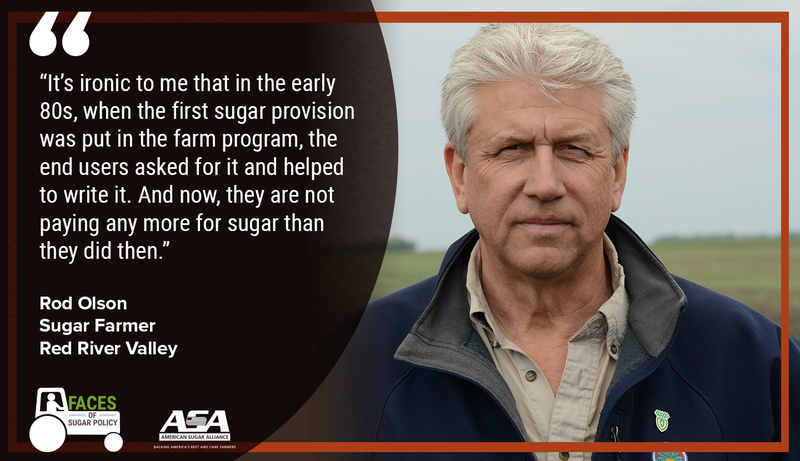 “It’s ironic to me that in the early 80s, when the first sugar provision was put in the farm program, the end users asked for it and helped to write it,” he says. Those same food companies are now bankrolling efforts to gut the program in favor of subsidized imports. Brian Ryberg’s small community of Buffalo Lake faces challenges similar to those in Olson’s town. Population is declining. Farm kids grow up and move away to the city for school. Ryberg’s son is going to pharmacy school and probably won’t be interested in farming. Ryberg is hoping one of his daughters might be. Keeping farms alive is critical to rural America, he says. Tim Deal thinks a lot about the broader economic implications of changing America’s no-cost sugar policy. He farms near the Minn-Dak factory in Wahpeton, North Dakota. That’s something he hopes doesn’t happen. He’d like to see his grandchildren farm the land he now farms with his son and grew up farming with his father. 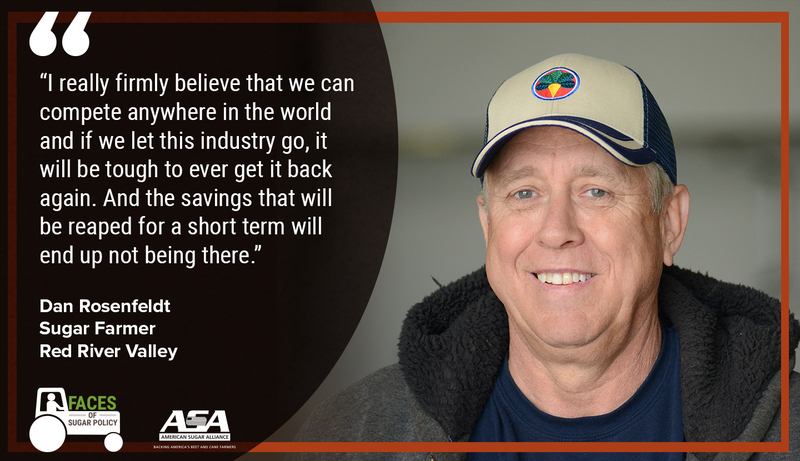 Nate Hultgren, in Raymond, Minnesota, knows a little bit about protecting family farming heritage, too. His family has farmed the same land for four generations. He lives on the family farm with his family, his brother’s family, and his mom and dad. There’s a child’s drawing of a seed tender that covers the notebook he keeps in his tractor. Sugarbeets are a way of life, here. The harvest time dominates family schedules with an all-hands-on-deck attituded across the community. 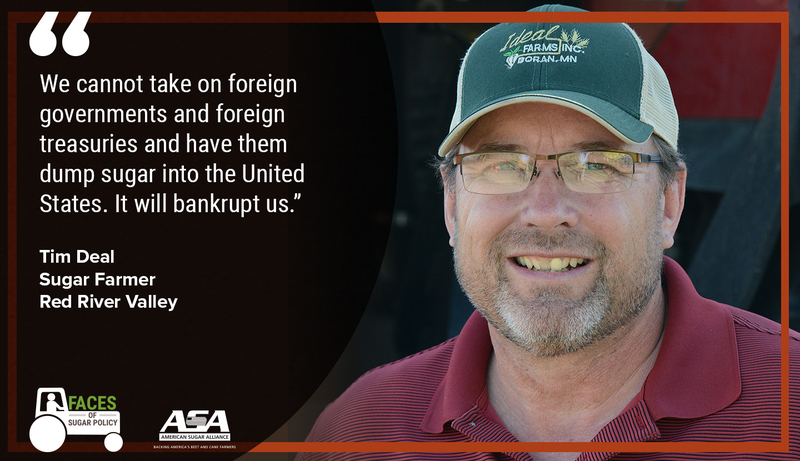 He shares many of the same concerns his fellow farmers have in the Red River Valley. Congress, he says, needs to remember the Farm Bill is about more than farmers.